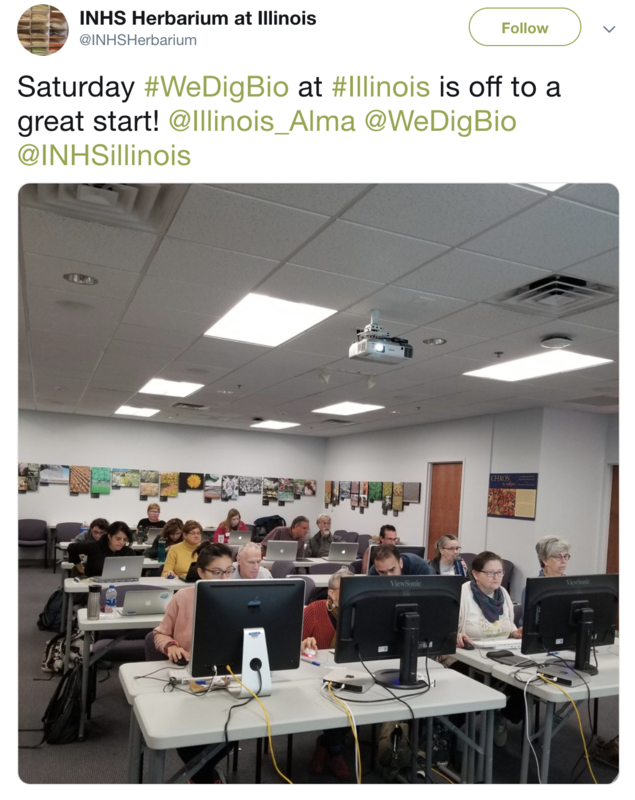 It was another big day for WeDigBio 2018! 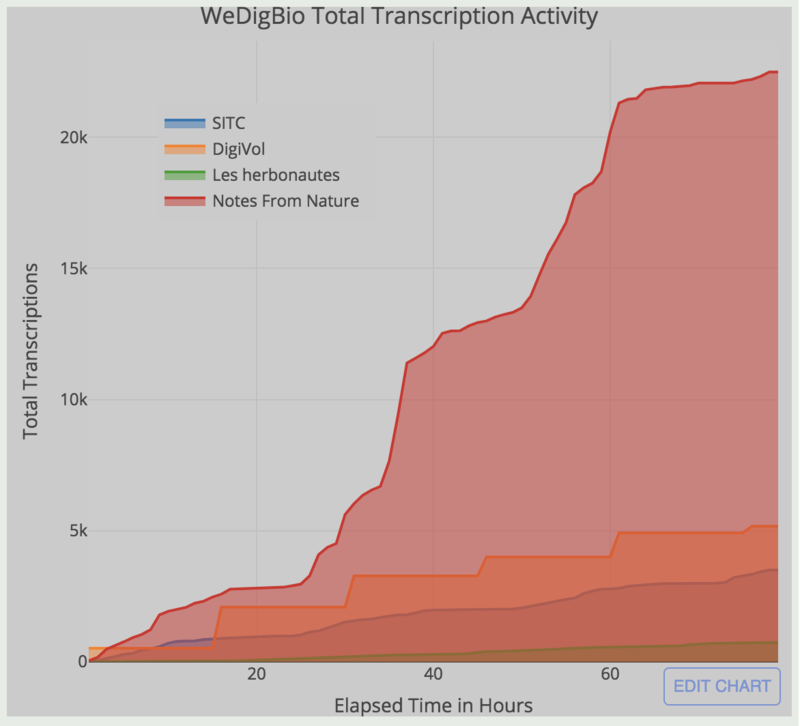 For starters, check out WeDigBio dashboard to see the amazing progress made by all the online transcription centers. Thanks to the efforts of citizen scientists around the world, tens of thousands of transcription tasks have been completed in just three days! 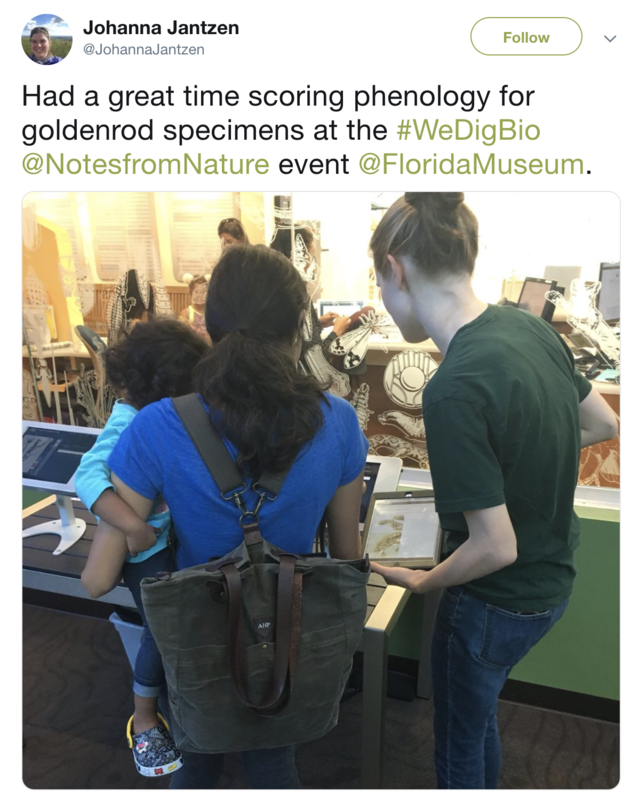 The Florida Museum hosted a kiosk-based event in which participants and museum guests scored the phenological state of goldenrod herbarium specimens (left). The herbarium at the University of Illinois continued their WeDigBio marathon and surpassed their goal with 2,593 transcriptions (right). Several online projects continue to make big advances during WeDigBio. 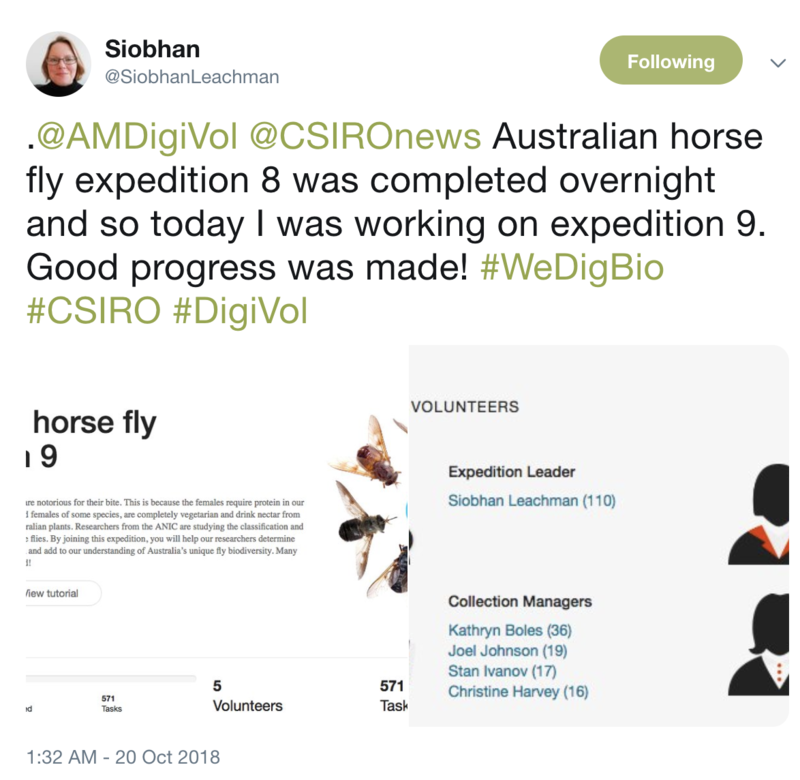 The Australian National Insect Collection completed expedition 8 of their Australian horse flies project (but don’t worry eager transcribers, expedition 9 is already underway!). 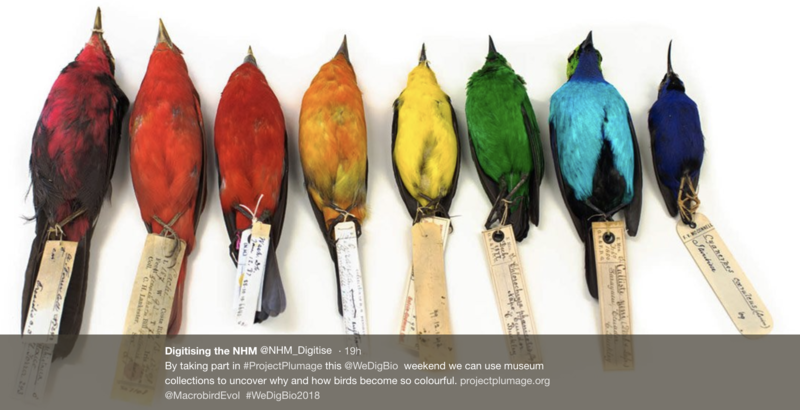 An NHM London and University of Sheffield effort, Project Plumageon the Zooniverse platform, is a beautiful examination of how color evolved in birds. Onsite events were also hosted at Botanic Garden Meise in Belgium, at the New York Botanical Garden, and at the Field Museum in Chicago. Sunday, 21 October is the fourth and final day of WeDigBio 2018. We have more onsite events and a host of fantastic online transcription projects. Catch up on all the WeDigBio activity on Twitter and on our website, wedigbio.org. See you tomorrow for the grand finale!